Run the program and login using admin as the username and admin as the password. When I upgraded to Windows 10, it gave me an error when I tried to run the program. I right clicked on the icon, chose Properties, and then Compatibility where I was able to set the compatibility mode to Windows 7. The program ran with no problem after changing that setting. After you login, you will see the main Schedule Backup window where you can start to configure your backup. 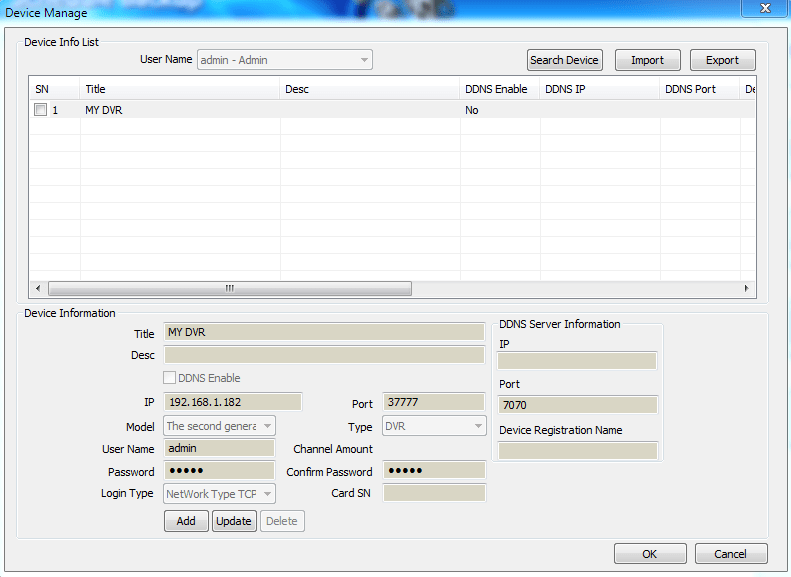 Start by clicking on the Config button and select Device Manage so you can add your DVR or NVR to the software. You need to add your IP address, login credentials, and give it a good name. 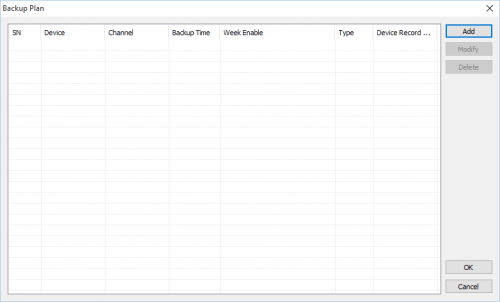 If you have more than one DVR or NVR to backup, it is a good idea to name each device by the location so you can track them easier. If your computer is not at the site of the DVR or NVR, keep in mind that it will be using the upstream of the Internet connect to send high quality video to the backup computer. Also consider that you will fill up your computer’s hard drive very fast with high quality video, so you need to consider have vast amounts of storage space to encompass large volumes of data. If you select Config then Option, you can configure the default save directories by selecting up to five devices as well as how much hard drive space will be used until it moves onto the next device. The amount used will be the amount of available space on the drive until it reaches the minimum free capacity amount. You can select the default option of Overwrite or Stop for when the drives are full. On this screen you can click the ellipse next to the Download record file name rule to completely customize the naming convention for your files. 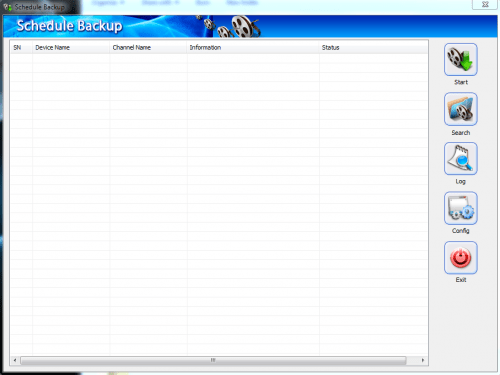 Our next step is to create a backup plan by clicking the Config button, and selecting Backup Plan. When you see the backup plan box, click the Add button. This is where you will create your first backup plan. If you want to backup everything, you would need to click the Multiple-channel button and select all cameras. Keep in mind that you will be taxing your DVR and bandwidth by requesting massive amounts of video footage to be sent via your upstream or internal network to the computer running the Schedule Backup software. The Backup Plan period is the time when the DVR will backup the video footage. The Record Period is the video that you want to backup. Since the box defaults to Today, you have to choose yesterday since that video footage has already been recorded. If you are using Multiple-channel, the Record Period will be the same for all channels. If you want different channels on different time periods, then you need to create a Backup Plan for each channel. You can be creative on what to backup and when. The last step is to hit the Start button on the main screen, and it will change to a Stop button so you know it is running. This tool is an effective way to back up some video footage that you want to save. Most people do not need to save everything so this will do the trick. If you need to backup everything, the most effective and fastest way is to take the hard drives out of the unit and replace them with fresh ones. Moving all video from one drive to another is not practical since the video is already on one drive. There will be too much stress on the DVR and the network, especially with the massive amount of gigabytes created from high definition video. 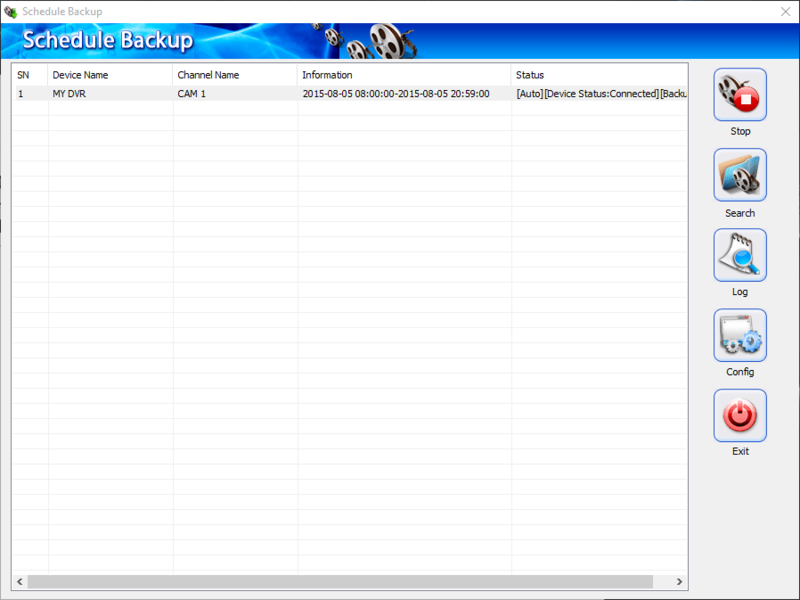 For a selective backup or important camera, the Schedule Backup is very useful. Once you have the backup in the .dav file format, you can open them using the Smart PSS or the player that is available on our website. The player is a smaller application, so it can easily be distributed with the video. The files that are backed up will depend on how you are recording the cameras. I am recording full time, so I have one file for each hour of recording. That means each day will provide 24 files for each camera. If you are recording motion, then each file will be one motion event per camera. This means that you could have thousands of little files, and that will be what the schedule backup software places on your computer. Full time recording is more manageable, but of course requires more hard drive space. No matter how you decide to use Schedule Backup, give it a try as it is a free option available for testing. If you need help setting up the Schedule Backup software, our tech support team can remote in to your computer and do that. 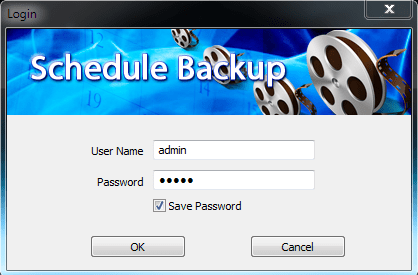 You can download the Backup Scheduler tool by clicking here. You can download the Smart PSS Windows (2015) by clicking here. You can download the Smart PSS for MAC by clicking here. You can download the Video Player and Converter Downloads by clicking here.